Borussia Dortmund vs Club Brugge predictions for Wednesday’s Champions League clash in Germany. Borussia Dortmund hope to move clear at the top of Champions League Group A when they face underdogs Club Brugge. Read on for all our free predictions and betting tips. Borussia Dortmund weren’t the favourites to top this tough looking Champions League Group A, but coming into the penultimate game they have a great chance to put themselves in a very strong position for matchday 6 in December. The Bundesliga giants are level on points with pre-season favourites Atletico Madrid, but Dortmund’s 4-0 demolition of their illustrious Spanish opponents at the Signal-Iduna Park last month has given them a significant goal difference boost. They have a 5 goal advantage there, so a top spot finish is well within their grasp. It’s not just the Champions League where Borussia Dortmund are impressing – Their Bundesliga campaign is looking very promising indeed at the moment. They sit top of the German table, 4 points ahead of Borussia Monchengladbach and 9 above the underperforming Bayern Munich. In all competitions they have lost just 1 game this season, scoring 48 goals in total across their 18 matches. 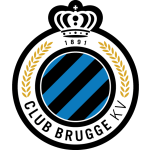 Club Brugge were always the minnows of this group, but even they have something significant to play for here. They currently hold 3rd place, thanks to Monaco’s disastrous campaign, and are high on confidence having beaten the Ligue 1 side 4-0 away from home last time out. However, the Belgians aren’t in the best shape overall. Club Brugge have won just 2 of their last 10 competitive games and have lost 4 times in this period. Considering they often dominate the Belgian Pro League standings, this is a very poor showing from them. Away from home they have lost 4 of their last 7 competitive games, including a 3-1 defeat at Atletico Madrid earlier in the Champions League campaign. Now they face a Borussia Dortmund side who have won 8 and drawn 1 of their 9 home matches this season, scoring 33 goals and conceding just 8 in the process. Dortmund have won by more than a single goal in 6 of these 9 home matches, and 3 of Club Brugge’s 4 recent away losses have been by a 2 goal margin as well. Considering the clear quality difference between the teams, backing a Borussia Dortmund -1.5 Asian Handicap looks a great bet along with a 4-1 correct score predictions. Club Brugge have never won in 12 previous away games against German opponents in all competitions (D3 L9), including defeats in both of their previous games vs Borussia Dortmund. 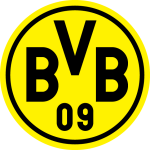 The home side has won four of the five previous meetings between Borussia Dortmund and Club Brugge, with the excpetion being the German sides 1-0 win on matchday one. Borussia Dortmund have won three of their four group stage games this season, losing last time out against Atletico Madrid. Borussia Dortmund have won both of their home Champions League group stage games this season – only twice before have they ever won all three (1997-98 and 2012-13). Club Brugge’s victory against Monaco last time out ended a run of 11 consecutive games without a win in the Champions League (D2 L9). Club Brugge are looking to secure consecutive Champions League victories for the first time since November 2005. They’ve never won back-to-back away games in the competition. Five of Borussia Dortmund’s eight Champions League goals this season have been scored by substitutes. Borussia Dortmund’s eight Champions League goals this season have been scored by seven different players, with Raphael Guerreiro the only player to score twice for them. No team has had more different goalscorers in the competition this season. Club Brugge’s Hans Vanaken has been directly involved in three of their last five Champions League goals (2 goals, 1 assist).